On a short skiing holiday, such as a ski weekend or a midweek ski short break, choosing a resort that’s close to Geneva Airport is essential if you want to maximise your time on the slopes. Geneva Airport is one of the major travel hubs for skiing in France, as there are many popular and famous ski resorts within a reasonable distance. A short transfer can make all the difference to your enjoyment of the holiday, allowing you make the most of your time by arriving in resort fresh and ready to ski, rather than sitting in a mini bus for up to 3 hours – especially as mountain roads can be pretty windy and lumpy! Our team have many combined years of skiing in the Northern Alps near Geneva, and between us we have skied all of the main resorts, as well as having done countless airport transfers in peak season back and forth in this area ourselves. As a result, we decided to put together a REALISTIC comparison of transfer times between the main ski resorts close to Geneva Airport. Note – contrary to a few other resources we found, and the claims of some tour operators, we believe these are realistic times you can expect during the busy winter ski period, not times you ‘could‘ do it in. The resorts highlighted in blue are those that Ski Weekender currently operate in, for our own midweek and weekend ski breaks. Click on the links to find out more about our hassle-free, inclusive ski packages in each area. There are a number of smaller resorts we have not included for the sake of easy comparison, as well as many ski resorts that do not quite make the 1hr 30 minutes cut off time. Many of these are linked to the above ski domains however. All ski pass prices have been taken from ski resort official websites and are for the 2017/18 season. All of our packages include your airport transfer from Geneva Airport to your accommodation of choice, and full lift pass, available for you when you arrive. *When you book one of our ski holidays at either Aravis Lodge, or any other accommodation in Le Grand Bornand or La Clusaz, you will receive a full Aravis region lift pass, which covers both resorts, and will be ready for you on arrival. We operate in small, friendly resorts in the Northern French Alps, within 60-90 minutes from Geneva airport, mostly with a traditional Savoyard appeal. 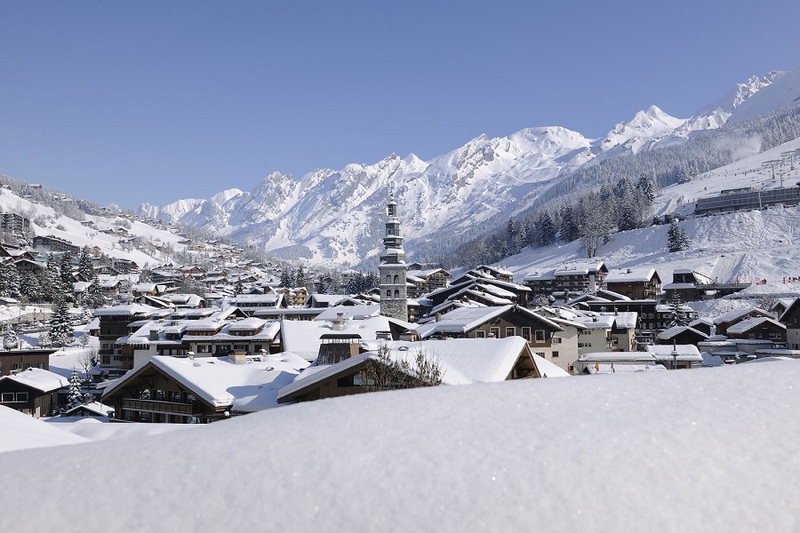 They are Le Grand Bornand, La Clusaz, Saint Gervais, Samoëns and Les Contamines. Our short breaks work on a fixed 3-day Monday – Thursday or 4-day Thursday – Monday basis, except during the festive/New Year period when the change-over days may be adjusted to fit in with the public holidays. Our packages include catered accommodation in small friendly hotels and chalet-hotels. Your package also includes your lift pass, and airport transfers for flights scheduled to arrive into Geneva between 1500 – 2115 and depart after 1600 on our standard transfer days. Flights, ski hire and tuition are NOT included and will need to be arranged by yourselves independently.